Over the last couple of months I have been fortunate enough to use a number of tools in my classroom and I’m here to talk to you about the effectiveness of these tools. When teaching computer science, you need to be careful about giving your students ‘death by powerpoint’ . If you can encourage students to collaborate and if you can use a number of different tools, it is possible to keep it ‘fresh’. Makey Makey is a cool piece of technology that allows you to connect a number of different items to your computer. It then works like a keyboard. This can then be connected to your program that you make. You can do this using scratch or unity. It comes with instructions. You simply plug it into your computer, connect it to a conductive material and you can create your own game controllers. This is great for design technology and you can create some amazing ergonomic controllers. It also allows students to program specific items on the keyboard. You can find out more at www.makeymakey.com . 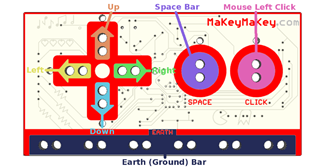 It is possible to recalibrate the controller by going to https://learn.sparkfun.com/tutorials/makey-makey-advanced-guide . 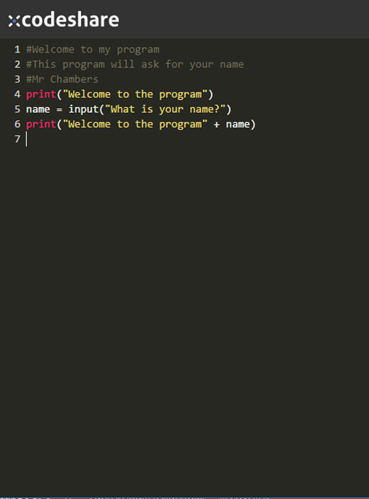 This is a great tool that allows you to get students doing paired programming. When you log your students into the website, they simply share the address with their friends via email. It’s a great tool for collaboration and it allows them to write code which can then be pasted into their friends compiler. I love using this with students and it’s a great way for me to share what I’m doing with them. They can see my code on their screen. Well worth a punt. This is a great tool that allows students working on group tasks. You are able to get them to create lists for themselves or they can create a list for the group. While they’re in a lesson working on a task, they can tick off tasks which they have completed. 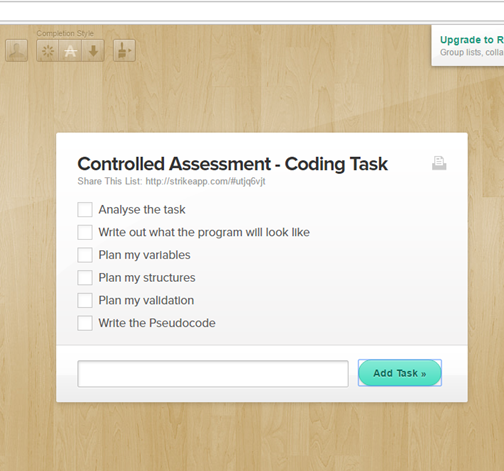 When the user refreshes the list, it shows who has completed a task and they can continue working on the topic. This app allows students to work on a canvas at the same time. You can have your students collaborating and drawing the CPU together. You could have your students collaborating and drawing the network topologies together. The good thing about it is that if you’re using it with a tablet. They can go away and they can be more accurate with their picture instead of using a mouse. If you’re using the interactive whiteboard, you can control another students work and you can draw on their slide for feedback. 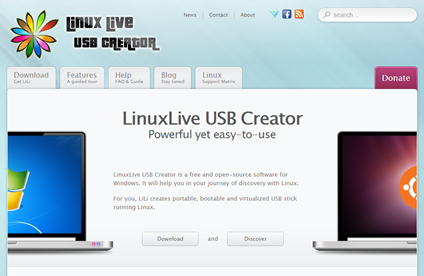 http://www.linuxliveusb.com/en/home This is a great website which will help you give your students some insight into other operating systems. You can build a USB and boot to it. This will allow you to use your regular PC’s in school. Students can boot from the USB and they can get a taste of Linux or Unix. It’s a great way of showing your students the command line within both operating systems. 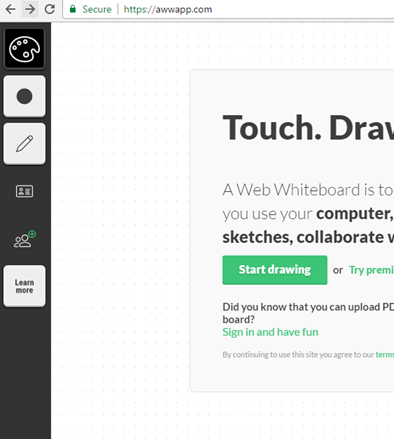 Draw.io is a website that allows you to create network diagrams online. You can save your work as an XML file or as a JPEG and you can then insert the files into documents on your computer. Each student can search for computers, servers and cables. They’re able to look up switches and routers and they’re then able to make network diagrams. I love this tool for creating topologies and network diagrams. A useful tool if you do not have the tools on your computer. This entry was posted in Coding, Computer Science, Computing, Education, MakeyMakey, Programming and tagged brooke weston, Brooke Weston Academy, Computer Science, Computer science tools, Ray Chambers, teacher help, Teacher Training, teaching ITT, teaching NQT. Bookmark the permalink.